Being stranded in the middle of the night in Sugar Land, Texas or on a busy highway during the day can be a frustrating order and a dangerous one, too. When you’re caught off guard with mechanical difficulties on the road, a dependable service is what you need. Fortunately, 360 Towing Solutions in Sugar Land and their network of licensed affiliates experts has got you covered. Our wide variety of services come in very handy with any problem or malfunction you are facing with your vehicle. Our services include towing Sugar Land, roadside assistance Sugar Land, and car lockout solutions. You need someone on call who will provide immediate response and has the qualifications and competence required to resolve your issues. You can count on our team of professionals to assist you in an efficient and skillful manner. We treat our customers with respect and we value your money so we make sure that you don’t pay for inefficient service. 360 Towing Solutions will provide you with the auto towing and roadside service that you demand at affordable prices. 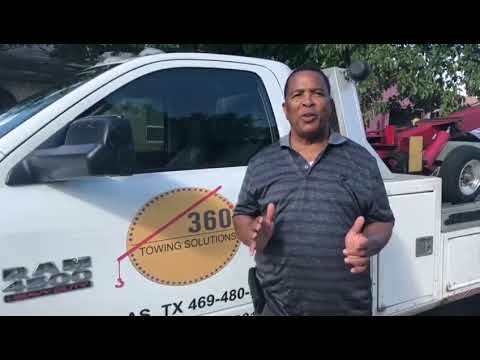 So, if you’re ever stuck with any trouble on the road and are in need of Towing Sugar Land TX, keep in mind that 360 Towing Solutions is here for you. We understand that car owners don’t always know what the problem is with their vehicle. So we offer a wide selection of services for whatever difficulty you are having. 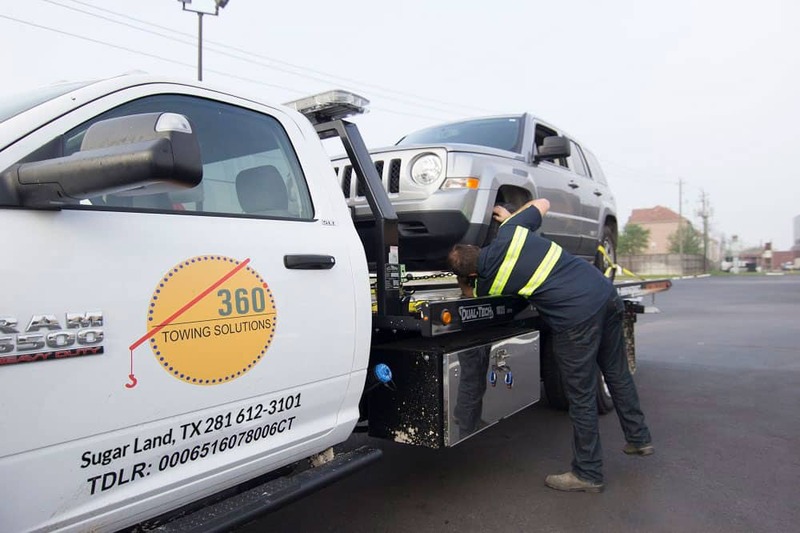 360 Towing Solutions in Sugar Land is the most competent provider of roadside services in Sugar Land, TX. You can count on our services to be available 24/7. Give us a call and we will immediately dispatch a team of well-trained professionals to assess and handle your situation. If your car breaks down for whatever reason, we are one call away and our expert technicians will be in your location to provide prompt assistance. Accidents happen and as in the nature of all accidents, they are unexpected and unwanted. If you are ever caught in one of these unfortunate scenarios and in need of towing Sugarland, Texas, 360 Towing covers all kinds of vehicular emergencies such as collision whether it’s with another vehicle or an object on the road. Running out of gas in an isolated highway is scary and extremely problematic. If you need someone to help you fill up your gas tank, we can help you with that, too. We understand that there are times when service stations and stores are inaccessible and we guarantee our customers fast and efficient services at reasonable prices. Our towing Sugar Land services are available 24 hours a day and 7 days a week. Whatever service you need, it’s guaranteed to be on the way once you call us for help. It’s embarrassing and frustrating but car lockouts do happen from time to time. Whether you left your car keys in the ignition or left them on the seat, or maybe they fell out of your bag, if you get locked out of your car, we will help you get back into your vehicle and you’ll be driving again in no time. For motorcycle riders, there are a lot of things that can happen while you are riding your bike in Sugar Land, Texas. You may experience a flat tire, a dead battery, or a busted light which are just a few examples. Taking your bike to the side of the road and waiting for a kind-hearted vehicle owner to help you is not really a good plan. Give us a call and 360 Towing Solutions will get your bike up and running again fast and provide you with any other roadside assistance Sugar Land that you need. If you find yourself with a blown tire and are miles away from service stations, worse if you don’t have a spare tire in your trunk, 360 Towing Solutions in Sugar Land is open 24/7 and will extend a helping hand no matter where you are in the area. Our team changes flat tires on a daily basis and we will work with you on your preferred tire for your car at reasonable prices. 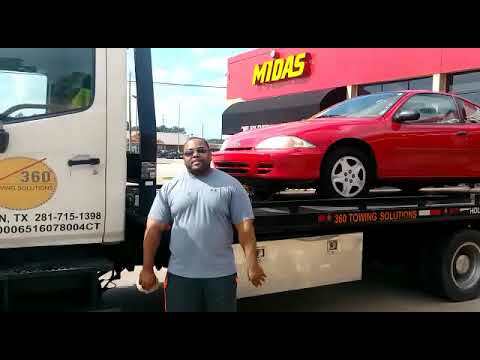 360 Towing Solutions in Sugar Land also offer heavy duty towing. 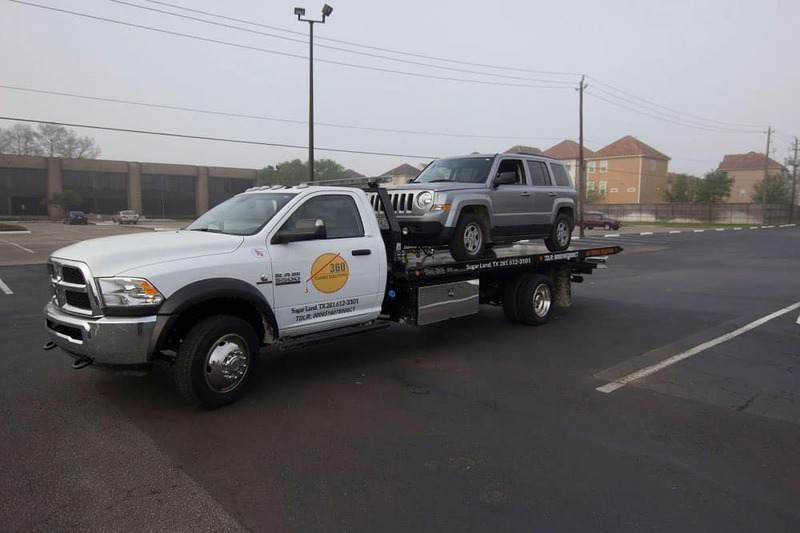 We are your best option for heavy duty towing anytime and anywhere in Sugar Land, Texas. 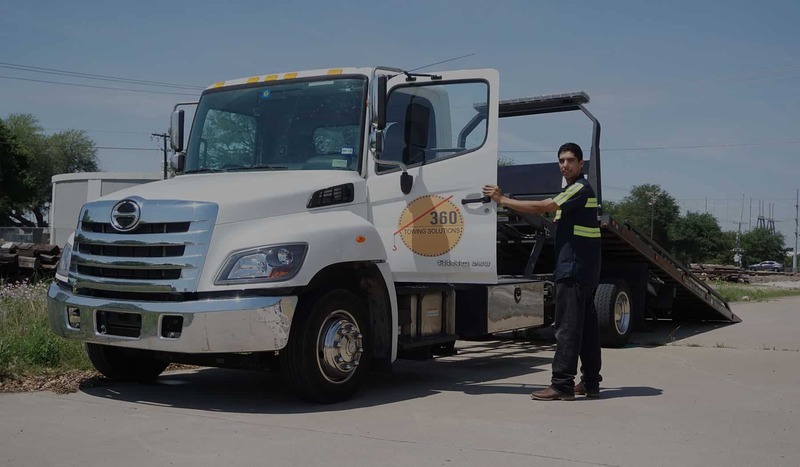 Whatever is the nature of your towing needs, you can depend on 360 Towing Solutions to provide you with all types of towing Sugar Land services. 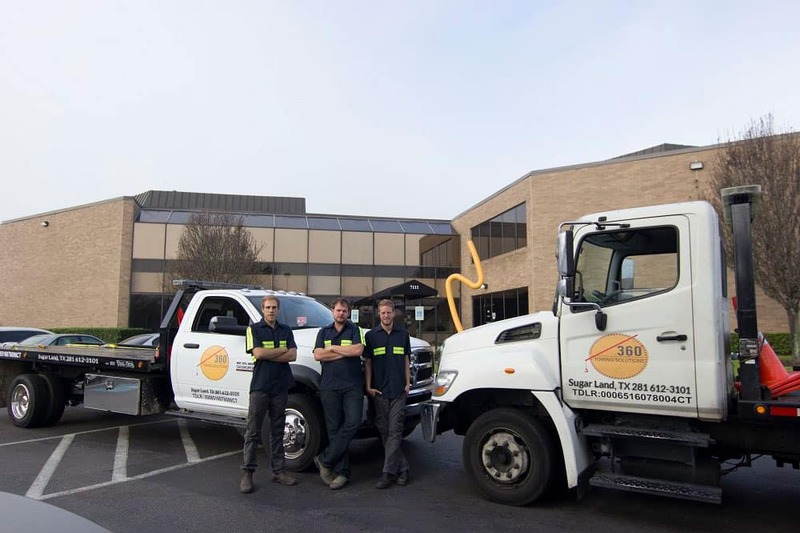 We are proud of our excellent heavy-duty equipment and vehicle recovery service that you will not find in other towing companies. Whether you need flatbed towing or long-distance towing, we’ve got you covered. Our team will transport your vehicle or equipment to your destination.